There are no fires in the Nelson and Kootenay Lake region impeding travellers from coming and enjoying what we have to offer. The air is clear with stunning blue skies. You can view 'real time' photos on our social channels. #realtime is being used across BC for your easy reference. Our region spans from Nelson to Meadow Creek along the west side of Kootenay Lake including the communities of Balfour, Ainsworth Hot Springs, Kaslo and Lardeau. 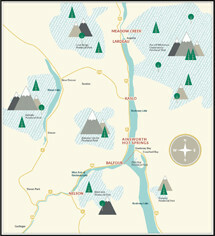 Destination BC has a list of provincial travel information. Local details can also be accessed through these links below: weather, roads, ferries, air quality, fires, alerts, local news, facebook, etc. As of July 6, 2018 there is a fire ban in effect. 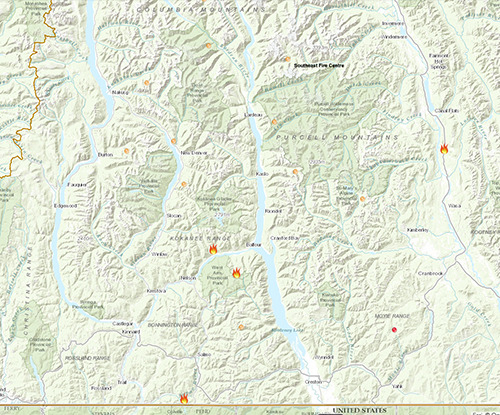 This BC map shows location of fires to communites and highways. Safe travels and if you have any questions, or comments about content on this page please email us at info@nelsonkootenaylake.com or call us at 250-352-7879.